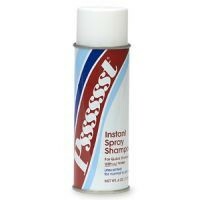 Get a free travel-sized sample of Pssssst Instant Spray Shampoo, courtesy of Redbook, when you sign up for its email newsletter. Create a password for the site and share your address and phone number to get the sample. Pssssst Instant Spray Shampoo helps remove oiliness when you don't have time to wash your hair (or don't want to). I've never tried it but it sounds pretty interesting. The freebies are on a first-come, first-serve basis, so it's unclear when the samples will run out. The samples take 6-8 weeks to arrive.